Want to know the secret for changing the lives of millions…without breaking a sweat? Do as little as possible for as many as possible. Keep reading and I’ll explain. In the spirit of celebrating excellence and shining a bright light on people who are making positive and lasting contributions in the world, its fitting that we focus on Muhammad Yunus, the recipient of the 2006 Nobel Peace Prize. Yunus pioneered the concept of micro-credit…lending money to people so poor no one else would even consider them for a loan. He created the non-traditional banking model in 1976 by lending $27 to a group of 42 bamboo weavers in Bangladesh. That’s all they needed to get them away from loan sharks. They used the money to grow their enterprise – and paid back with interest every penny they owed. 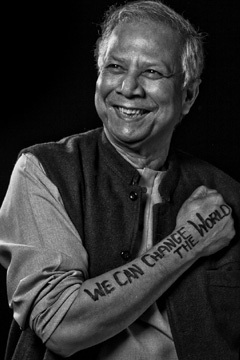 Through the years, Yunus has lent over $20 million dollars to millions of people. Loan amounts have averaged about $130. First, Muhammad Yunus has made a difference in people’s lives. He has seen and filled a very real need. Many millions of people have benefited from his unusual philanthropy. His story makes me feel good and inspires me to do good. When faced with a problem, do as little as possible to create a solution. Instead of throwing millions of dollars at a “poverty relief plan” in Bangladesh, he loaned a small group of people the exact amount they needed to solve their problem. No cumbersome bureaucracy or structure to contribute complexity…just a simple solution. We are often tempted to do more than is necessary. Perhaps we’re afraid to offer simple solutions because doing so makes us look less intelligent. We are fearful that someone will accuse us of not understanding the “vastness” of the situation. But I’m going to suggest that those who offer layer upon layer of complicated answers, may not understand the essential question. 1. Relate to them the story of Muhammad Yunus. 2. 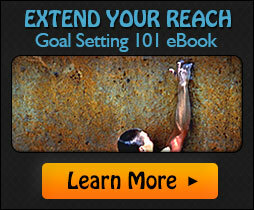 Identify a challenging problem that exists in your life or business right now. 3. Then take some time to consider an elegant and simple solution. Do as little as possible to create a sustainable solution. Simplicity doesn’t just happen on its own. In fact, without conscious, sustained effort focused on simplicity, the opposite…increased complexity is almost certain to manifest itself. Once again…invest a few minutes and consider this question: How you can do as little as possible to solve big problems in your life as well as in society? Who knows, you may be able to come up with a life changing solution!